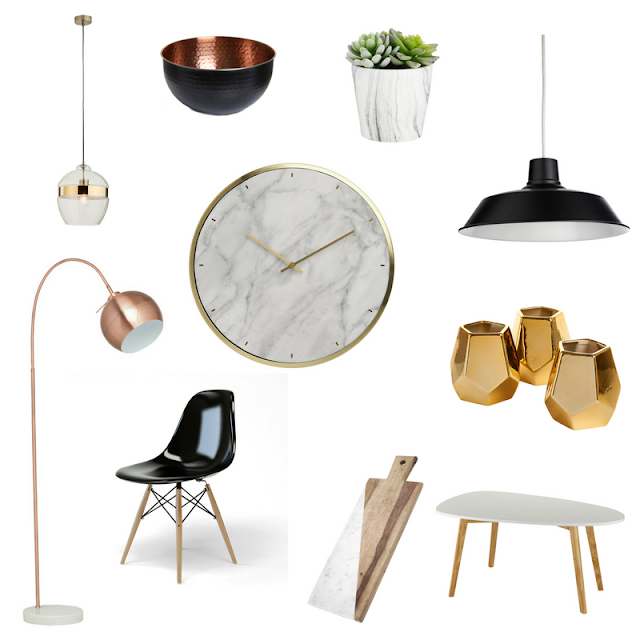 Three ways to nail the scandi trend in your home - no redecorating needed! 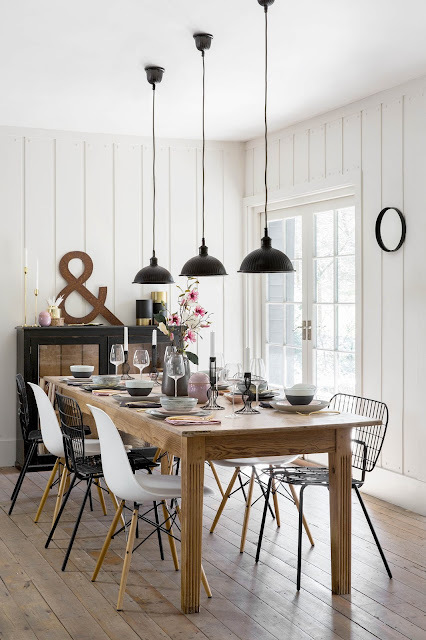 As a huge fan of neutrals, I absolutely love the simplicity of scandi interiors - bright and airy rooms, styled to perfection, that make you want to cosy up in front of the fire. 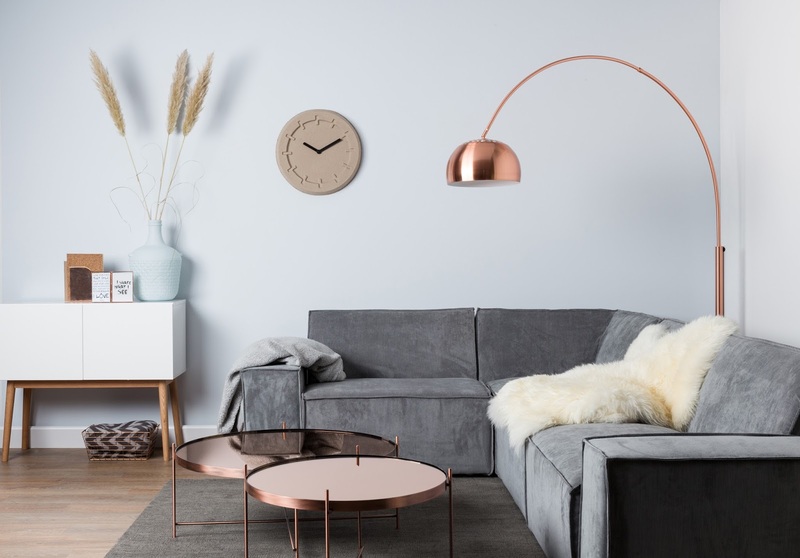 However, you don't need to spend a fortune to achieve this look - I've listed three easy ways to recreate this look in your home, including my pick of best nordic style items available on the high street. The overwhelming theme with Scandinavian design is undoubtedly white colours. However, adding touches of darker tones such as black is an easy way to create a super stylish look. 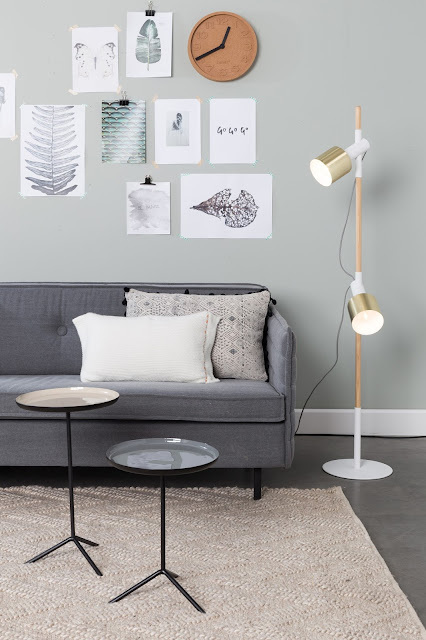 These pendant lights become a feature of this room, and effortlessly break up all the white. Matching this with the small touches in the table decor works so well, don't you think? Choosing items in a similar neutral colour palette but contrasting textures is a foolproof way of adding interest and style to a room. You're then free to add colour through accessories, and these copper touches look amazing don't they. Totally obvious, but a huge part of this style is clutter-free spaces. This can work to keep a room spacious and airy too. Keep accessories simple and pared-back - less is definitely more here.